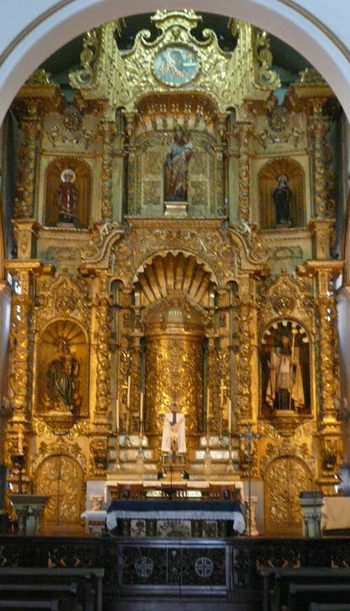 This reveals a calculated plan to demolish all the symbols of transcendence that awakened a sense of awe before the presence of God and reduce the unfathomable mysteries to a few simple formulas expressive of “the life and feeling of the people.” The reform would banish God from the centre of the liturgy (as happened in the ensuing Novus Ordo Mass) together with the spirit of adoration, the presence of mystery, and the atmosphere of holiness that characterized the traditional Mass. The absurdity of the Vatican II reform lies in the fact that a Church that was notable for the orthodoxy and beauty of her liturgy was now being damned for her fidelity to Tradition. It is tantamount to saying that if it weren’t for Catholic Tradition, everything in the Church would be fine. Jungmann recommended especially the final chapter of this book in which de Lubac set out a theory, drawn from his ressourcement studies (resssourcement = return to the sources), that the doctrine of the Real Presence only entered the Church in the ninth century. (4) In his opinion, this “novelty” led the medieval Church to develop a false conception of the Eucharist as the verum Corpus, the true Body of Christ. (5) That title, de Lubac argued, belonged by rights to the body of people united around the Eucharist and should be transferred to them (6) on the assumption that this was the original belief of the early Christians. De Lubac also brought into discredit orthodox medieval theologians (among whom we must include pre-eminently St. Thomas Aquinas) by accusing them of being so fixated with the doctrine of transubstantiation and the Real Presence that they overlooked the importance of the assembled people. Worse still, he charged, the doctrine of the Real Presence was a cause of division in the Church because it made the people (the “true Body of Christ”) become “detached from the Eucharist.” (7) This false accusation became the central paradox of the Liturgical Movement, a sort of Hegelian dialectic, which would be resolved by erasing the distinction between Christ and the people, between the supernatural and the natural, grace and nature, and pretending that they are identical. Fr. 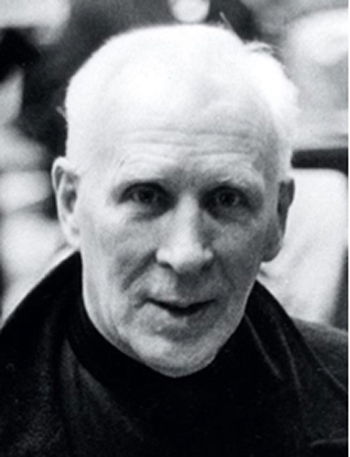 Henri de Lubac, S.J. But, the abiding Presence in the Sacrament of the Altar has always been the focal point of the Church and the Mass since Apostolic times. Catholic belief in the reality of the Eucharist (which St. Thomas Aquinas called the res et sacramentum) long pre-dated the custom of fixed and permanent tabernacles. It was only with the Liturgical Movement that the primary focus of attention would be diverted from the Blessed Sacrament to the “active participation” of the people, from the cult of the Eucharist to a “self-celebration” by the people, in other words, to the cult of man. 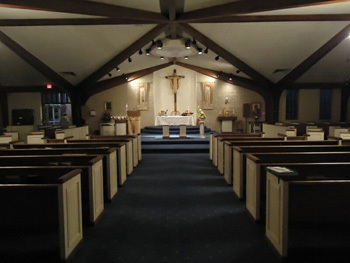 Since the abiding Presence was regarded as a hindrance to the “active participation” called for by Vatican II’s Constitution on the Liturgy, some radical changes were considered necessary to rectify what was a long-lasting and (for the reforming liturgists) an intolerable situation. Any lay person can be made a Eucharistic minister – after a speedy course – and handle and distribute Holy Communion to anyone, because it is no longer regarded as the object of adoration. No one could claim that these reforms adequately express the res et sacramentum of the Eucharist – the Reality that is present in the Sacred Species. It was this slighting of the Blessed Sacrament by the progressivist theologians that characterizes the Novus Ordo Mass and reveals a definite, ideological and anti-Catholic intent behind their reforms. Their effect was to obstruct and diminish belief in the Real Presence for millions of post-Vatican II Catholic souls – a tragedy of incalculable proportions. 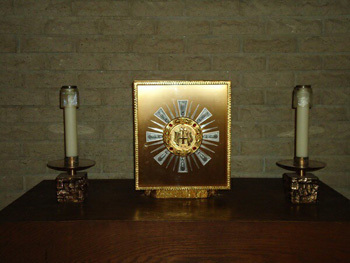 For it was the Blessed Sacrament that was the very source of holiness in the Church, the principal means of sustaining the stream of Catholic life throughout all the centuries of Christianity. It is important to keep in mind that whereas devotion to the Blessed Sacrament survived the assaults of the 16th century Protestant “Reformation,” it could hardly survive the internal attacks launched by the 20th century Church’s own hierarchy and clergy. J.A. Jungmann, “Constitution on the Sacred Liturgy” in H. Vorgrimler, Commentary on the Documents of Vatican II, London and New York: Burns & Oates/Herder, 1967, vol. 1, p. 24. J.A. Jungmann, ibid., p. 118, note 87. Corpus Mysticum: l’Eucharistie et l’Église au Moyen Age (The Mystical Body: The Eucharist and the Church in the Middle Ages) (1944) was among several books by Fr. Henri de Lubac condemned by the Holy Office in 1950. All Jesuit Provincials in the world were ordered to remove it from their libraries and, where possible, from public circulation. Also under pressure from Rome, de Lubac was removed from his post as Professor of Theology at the Catholic University of Lyon and from his editorship of Recherches de Science Religieuse. But, he continued writing and giving conferences to priests. One of his books, Méditation sur l’Église, was published in Paris in 1953 during the period of his silencing by Rome. Archbishop Giovanni Battista Montini (the future Paul VI) had an Italian version printed in Milan in 1955 and circulated among his priests. De Lubac was rehabilitated by Pope John XXIII, who appointed him as a consulter to the Preparatory Theological Commission for Vatican II. He, then, became a perito at the Council and a member of the Theological Commission before being made Cardinal in 1983. De Lubac exerted a considerable influence on the drafting of the Conciliar documents Dei Verbum, Lumen gentium and Gaudium et spes. He enjoyed the special esteem of the other conciliar Popes from Paul VI to Francis. Henri de Lubac, At the Service of the Church, San Francisco: Ignatius Press, 1993, p. 68. Jungmann supports this point of view: “Out of the distant past, Eucharistic thought had gradually taken a new turn, so that from the time of Isidore and the controversies of the ninth century it began little by little to look upon the Sacrament (omitting its symbolism) almost entirely from the viewpoint of the Real Presence.” At this point Jungmann inserts a footnote referencing de Lubac’s Corpus Mysticum. See Jungmann, Constitution on the Sacred Liturgy, p. 118. This chapter was called “Du symbole à la dialectique,” (from symbol to dialectic) (pp. 255-284). Here, de Lubac accused the Church in the 12th century of separating the sacramental Body of Christ from the ecclesial Body of Christ. He called this “une césure meurtrière” (a deadly break), alleging that it destroyed the symbolic unity of Christ and the Church. De Lubac: “each one of us” in the Church is “the chief minister of all the sacraments.” Catholicisme, Paris: Éditions du Cerf,, 1952, p. 86. J.A. Jungmann, “Eucharistic Piety,” The Way: a Quarterly Review of Christian Spirituality, London, vol.3, n.2, 1963, p. 88.